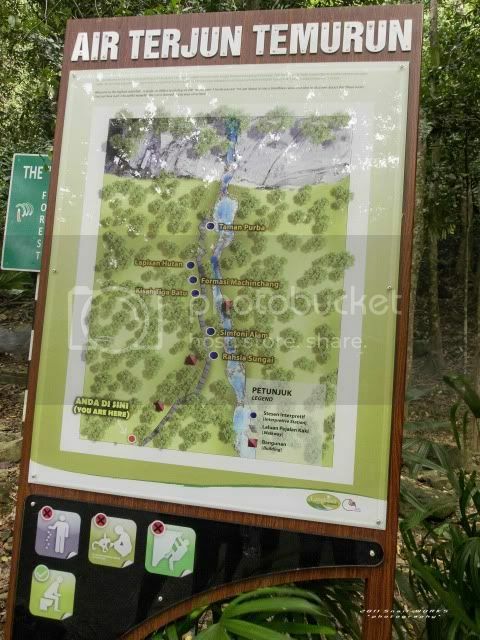 地点 Location Kompartmen 25, Hutan Simpan Gunung Machinchang, Langkawi, Kedah, Malaysia. 类型 Profile Stream waterfall, vertical plus cascade. 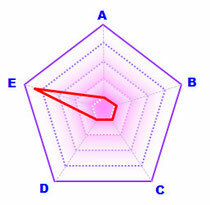 Commulative height of about 200m. 源头 Water source Sungai Temurun. Easy park walking, but not wheelchair friendly track. None of leech found, but leeches may found at jungle side. 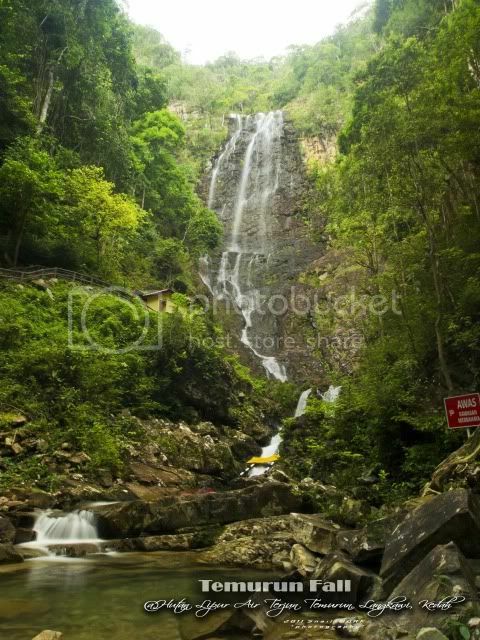 Langkawi has a few waterfalls that offer a scenic and peaceful location for a picnic or simple relaxation. However, these waterfalls tend to be quite shallow and low water flowing volume during the dry seasons in early of the year. 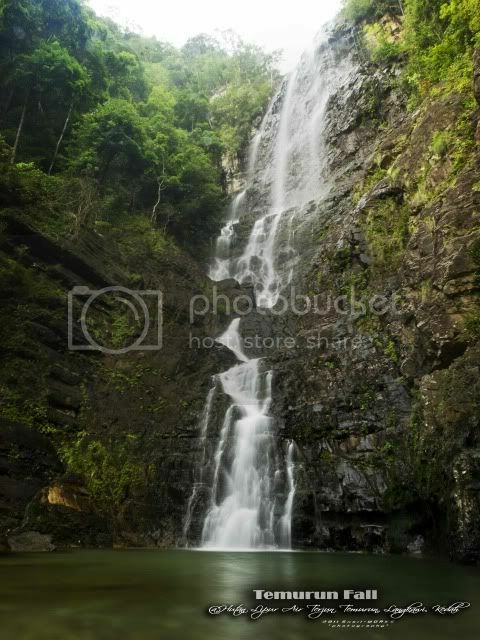 During rainning season, the waterfalls will begin bursting with life once again. The best time to see these waterfalls in their perfect form is at the year-end. This time, we had picked September to visit Langkawi again. 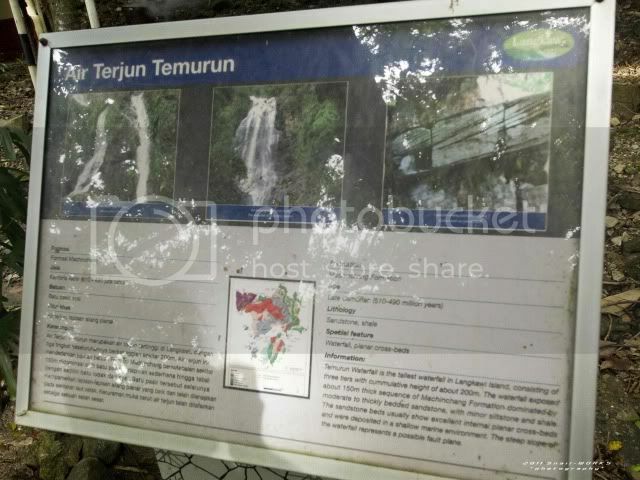 Temurun Fall is located in the Mat Chincang Reserved Forest of Datai area, which is at north west of Langkawi island. 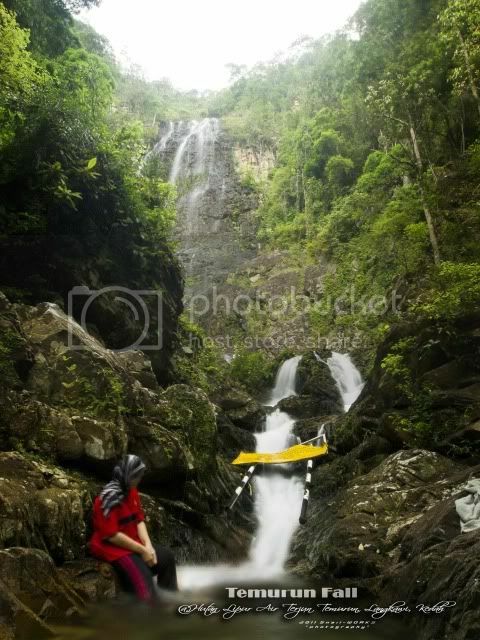 To reach the waterfall, tourist is good to have own rental transport or taxi as the waterfall is located at a quite remote area. The signboard along the way are clear to follow. The top of Temurun Fall can be seen from the carpark. That is the 3rd tier of Temurun Fall. Simple map of Temurun Fall recreation park. Some simple information about the Temurun Fall and rock formation. 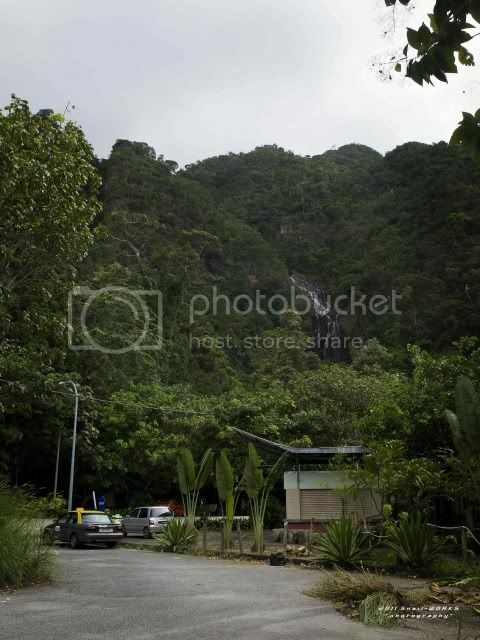 It also claimed that Temurun Fall is the tallest waterfall found in Langkawi, consisting of 3 tiers with commulative height of about 200m. Some manmade pools are built at the lower part of the Temurun River and safe for children. 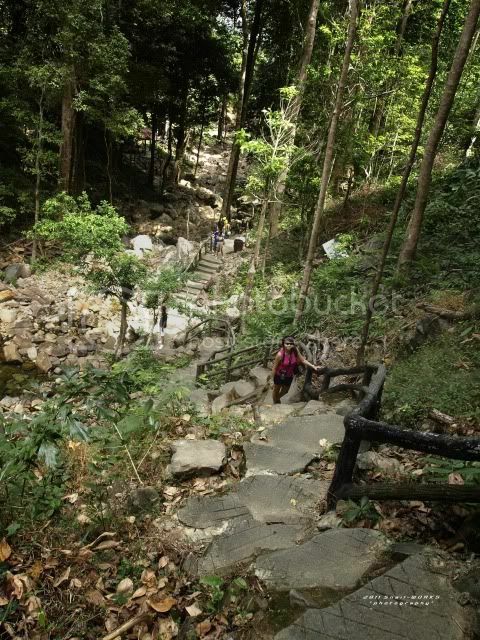 A concrete staircase also is built for easier access to the waterfall. 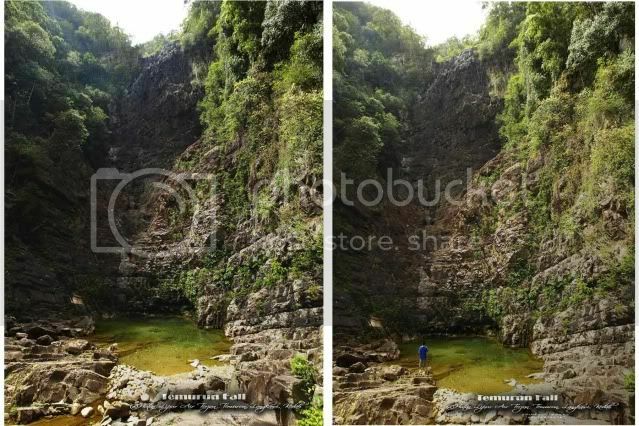 This is indeed a spectacular waterfall to visit, but only when it isn’t the dry season as the waterfall will flow in a pity of water volume in the period. Don't believe, watch these photos which is captured during the dry season in February. 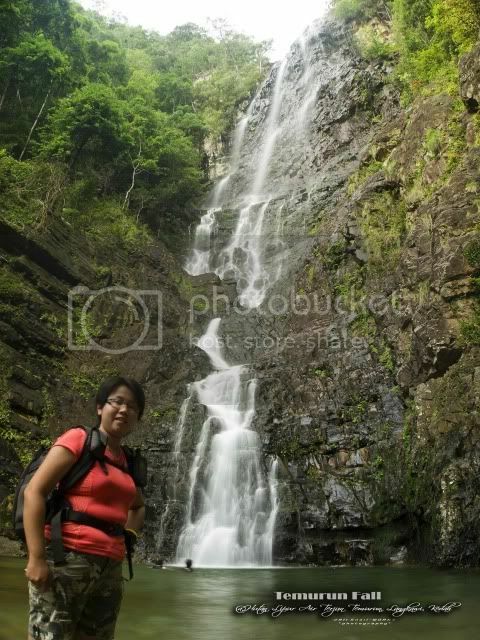 Like a Cinderella, Temurun Fall become a scenic waterfall during rainning season. Below all the photos are captured during September. 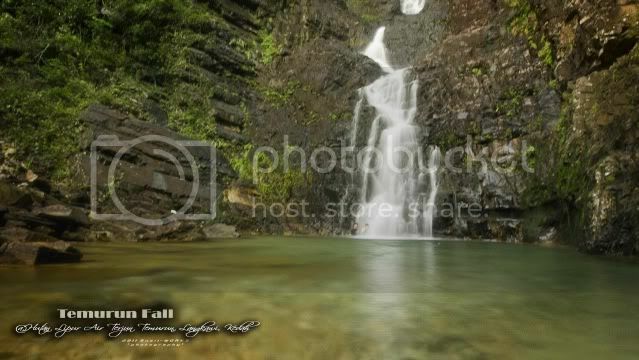 This is the 1st stage of Temurun Fall, the stream split into a twin waterfall. By scambling up the concrete staricase, we came to the 2nd tier, the main fall of Temurun. The water cascade down a 30 m drop, forming a nice pool below which you can swim in. I can say that this is the most crystal clear waterpool on the Langkawi Island. The rocks underneath are clearly seen even in the depth up to chest level. My friend claimed that the water is a bit sweet tasted. Friends are can't resist the temptation to have a dip inside the pool. 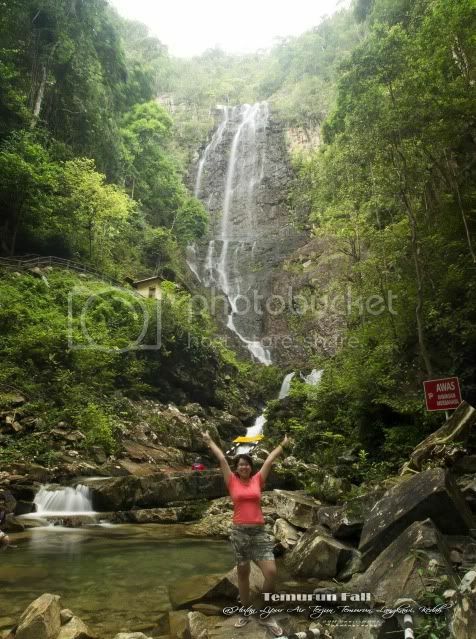 See the 2 humans image under the shower of the waterfall. What a wonderful day! Say cheese. Have you been to the scenic Temurun Fall?